Having lots of spam comments on your WordPress website? You are not alone with this issue. Luckily, we can offer you some great tools to fight comment spam on your WordPress blog. In this tutorial, we will share some of the most useful WordPress plugins and tools to fight spam in WordPress. Akismet is one of the most useful WP plugins. It comes preinstalled with your WordPress installation so you do not need to search and download it. All you need is to get an API key and activate the plugin. As soon as you finished, Akismet will start catching SPAM comments right away. Sometimes Akismet puts some casual comments to a SPAM folder, but you can always recover them manually. Sometimes rookie bloggers think that by making their blog links dofollow, they will encourage more users to leave comments. So that they decide to remove nofollow attribute. As a rule, the result is an avalanche of spam comments, since even users who are not interested in the discussion but the link back submit non-spam comments. It is not a good idea to use plugins that share links with the help of comments. Don’t forget that you need quality, not quantity. Firstly, install and activate the Cookies for Comments plugin. Most spam bots don’t download any stylesheets or images, since they are automated scripts. This plugin sends users an image or stylesheet each time they access your comment form page. If a browser downloads those files automatically then the plugin identifies them as real users. Another effective way to filter spam bots is to install and activate the WP Spam Fighter plugin. Then, enable the honeypot protection on the plugin settings page. It will create a hidden form visible only to bots on your comments form. Since spam bots are usually programmed to fill out all fields in a form, they will fill that hidden field as well. Using Google Captcha (reCAPTCHA) plugin, you will add recaptcha to your comment forms. It displays an image that contains some characters. To prove that they are human, your visitors should type those characters into the field. Surely, Google reCAPTCHA is a great way to block spam bots. However, it does not prevent from spam comments submitted manually. 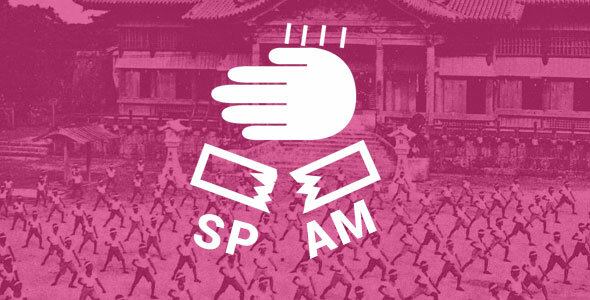 Moreover, sometimes it may be difficult for users to submit even non-spam comments. But reCAPTCHA is still one of the most effective and quick methods to fight spam. The URL field in the comment form invites people who have absolutely no interest in discussion as well as attracts both human and automated spammers. Thus, often this field contains a line of some nonsense. You will discourage this kind of behavior by removing the URL field from comment form on your website. WordPress comes with image attachment pages which provide the ability to display an image and comment it. You will have lots of comments enabled on attachment pages, if you are linking your images to such an attachment page. That’s fine if images play the central role on your website. But if they don’t, it is better to enable media attachment comments. Disabling HTML in comments is another handy tip. The easiest way to do this is by using Peter’s Literal Comments plugin. Simply install and activate the plugin and it will deny any comment formatting. Some users find Google CAPTCHA disruptive and annoying. A less annoying alternative is the CAPTCHA plugin, which comes with basic maths actions – add, subtract and multiply which are very easy to solve if you are a human. Simply install and activate the plugin and configure it within several clicks. Also try using both CAPTCHA and Limit attempts plugins. They will provide really strong spam protection for your website. Trackbacks is a reason of a huge part of comment spam. However, it is not even necessary to have trackbacks for some blogs. It is very easy to deny them and prevent comment spam. 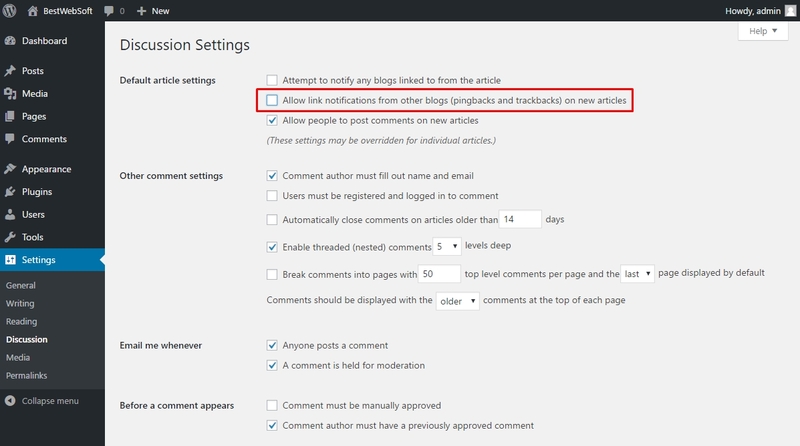 You can disable trackbacks on your individual post as well as on an entire blog. Go to Settings » Discussion and find the abovementioned option. It will disable trackbacks on your blog. However, if you want to turn off trackbacks on a separate post or page, you will need to specify it when writing or editing your post or page. 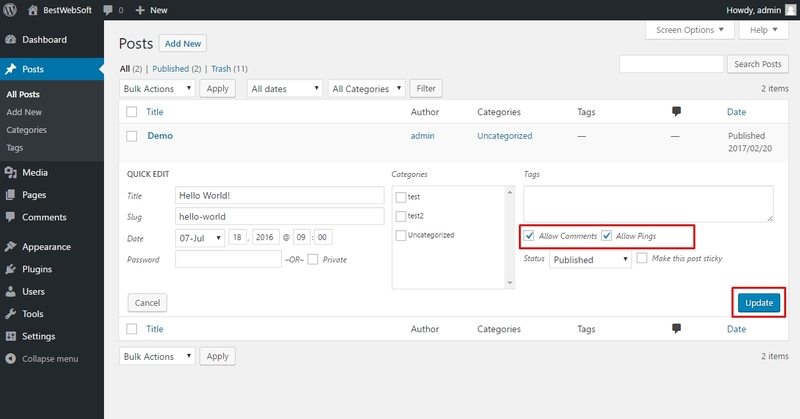 WordPress provides the ability to pick a deadline for comment closure. Go to Settings » Discussion, and find the option ‘Automatically close comments on articles older than’. Mark the checkbox and type the number of days you want your articles to be commented. Now comments will be automatically closed after the time you defined for this option. If needed, you can change the comment deadline in WordPress for those posts where you want comments to remain open. You can always switch off comments in WordPress if you feel that you don’t need comments on your website. If so, just uncheck the box next to ‘Allow people to post comments on new articles’ in the Discussion Settings page. Also, in your Settings ~ Discussion page, you can allow comments for registered users only.